Our advice is non-biased and our advisors are not compensated by commissions or trails from the purchase or sale of any financial product. We are committed to provide unbiased advice and to always act in our clients' best interest. Serving all of Northeast Ohio and its surrounding areas for over 20 years. Cornerstone Wealth Management acts in your best interest. We adhere to the fiduciary standard because you deserve unbiased advice about your current financial situation. Our firm is paid directly by our clients for our advice. We do not accept compensation from the commissions of a large broker-dealer or life insurance company. At Cornerstone Wealth Management, we act as your fiduciary in all of the financial areas of your life. We are committed to thoroughly understanding our clients’ financial needs and circumstances to fulfill this duty and to best serve their interests. The foundation of what is today Cornerstone Wealth Management began back in 1963 as a financial accounting and income tax practice in Westlake, Ohio. The firm served many individuals, business owners, and corporate clients. Dave Gomersall was the founder and long-time president of Cornerstone Wealth Management. He was a successful business owner, fisherman, hunter, boater, avid traveler and entrepreneur with a lifelong quest for new experiences. Our advisors assist individuals & families from all walks of life who are seeking unbiased advice and answers to their financial questions. Running your business is a time-consuming, stressful job. Allow us to provide guidance with the other financial areas in your life. Whatever your need -- a retirement plan or a specialized investment account -- we'll be there to assist your company. Why should I consider using a Fee-Only, Registered Investment Advisor? Fee-Only Registered Investment Advisors have a fiduciary responsibility to choose investments that are in your best interest. Cornerstone Wealth Management is a Fee-Only Registered Investment Advisor. This means that neither the advisors nor the firm receive any commissions for the sale of any product based on the investment recommendations we make to you. We don’t accept compensation from any brokerage firm, mutual fund company, or insurance company. We’re only paid by you, through your standard asset management fee. This approach allows us to show our clients that we represent only them with no conflicts of interest. Simply put, we believe that the greater an advisor’s dependence on commission income, the greater the conflict. In the end, that conflict can cost you both in out-of-pocket expenses and in the quality of advice you receive. Registered Investment Advisors like Cornerstone Wealth Management are bound to a fiduciary standard that was established as part of the Investment Advisors Act of 1940. They can be regulated by the SEC or state securities regulators, both of which hold advisors to a standard that requires them to act and to provide advice only in their client's best interests. This involves the advisors disclosing any conflicts of interest that may violate this standard and they owe their clients a duty of undivided loyalty and utmost good faith. Who is TD Ameritrade Institutional? TD Ameritrade Institutional is the custodian for Cornerstone Wealth Management. We act as the investment advisor in managing the assets in your account which are held (in custody) by TD Ameritrade Institutional on your behalf. The custodian’s role is to support the relationship between you and Cornerstone by providing research, trading functions, technology, and various other investment operations. Yes. You will be provided with a login and password to view your accounts online through TD Ameritrade Institutional Client Site. You may access this site through the Cornerstone Wealth Management website by clicking Client Login at the top of the page or go to www.advisorclient.com. 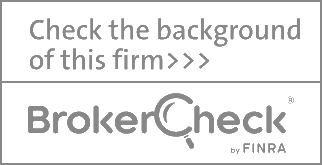 FINRA - BrokerCheck is an important tool for investors to use to help them make informed choices about the individuals and firms with which they conduct business. Please click the logo below to research this company or any of the investment professionals you are working with. DISCLAIMER: THERE CAN BE NO WARRANTIES, EXPRESSED OR IMPLIED, AS TO ACCURACY, COMPLETENESS, OR RESULTS OBTAINED FROM ANY INFORMATION POSTED ON THIS OR ANY LINKED INTERNET SITE. Cornerstone Wealth Management (CWM) is a Security & Exchange Commission (SEC) registered investment adviser, doing business in Ohio. Information relating to securities is intended for use by individuals residing in states in which the investment advisor representative has received licensure or is otherwise exempt from filing status. This site does not constitute a complete description of our investment services and is for informational purposes only. Nothing on the CWM website should be construed as a solicitation, offer or recommendation, to acquire or dispose of any investment or to engage in any other transaction. We do not render or offer to render personalized investment advice or financial planning advice through our website. Advice can only be given after delivery of our Disclosure Document and execution of an investment advisory agreement by the client and CWM. Information throughout this internet site, whether investment specific, charts, articles, or any other statements regarding market or other financial information, is obtained from sources which we, and our suppliers, believe reliable, but we do not warrant or guarantee the timeliness or accuracy of this information. The information and opinions contained in this website are provided by CWM for personal use and informational purposes only and are subject to change without notice. Nothing contained on this website constitutes investment, financial, legal, tax or other advice or is to be relied on in making an investment or other decision. Nothing on this site should be interpreted to state or imply that past results are an indication of future performance. © 2019 Cornerstone Wealth Management All rights reserved.